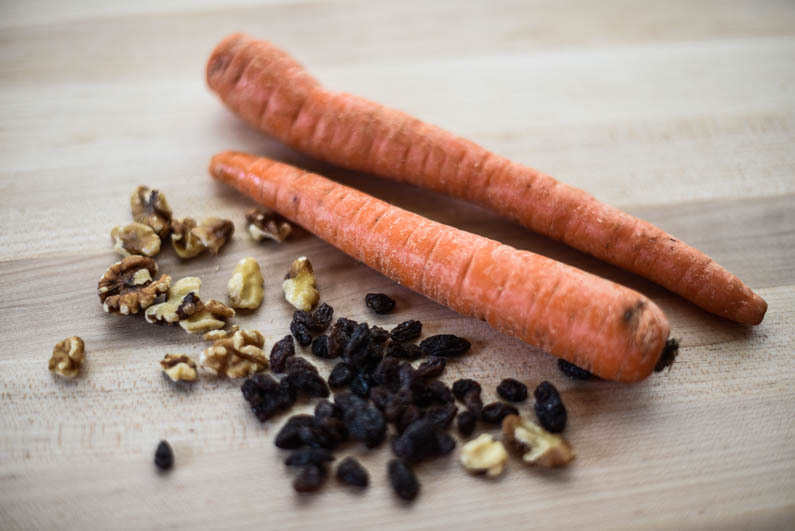 These Carrot Muffins with Raisins, Walnuts, and Maca Powder are delicious and packed full of healthy ingredients. The recipe is based on one from Laila Ali in her new cookbook, Food for Life, which I found in the February 2018 issue of Oprah magazine. To make the recipe plant based, I made a few changes to it. I substituted canola oil for the butter, and Ener G egg replacer for the eggs. I, also, didn’t have any allspice, so I added a pinch each of nutmeg and cloves instead. The original recipe calls for a gluten free flour blend, but I used my favorite all-purpose flour, Einkorn by Jovial. Einkorn flour is an ancient grain that has not been hybridized and is more easily digested. 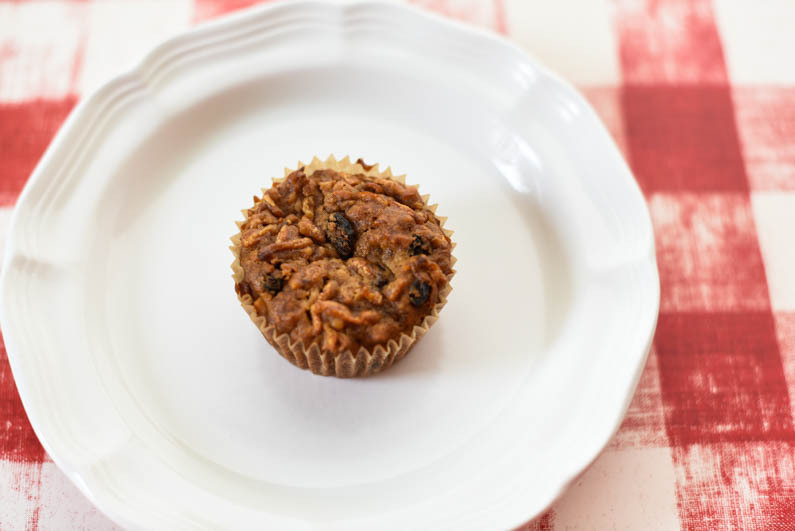 Most of the ingredients in these muffins are organic which I bought at Costco or Whole Foods. Maca Powder can be found at most health food stores, Whole Foods, or online and is considered a superfood by many health experts. It is a cruciferous root that is native to the Andes Mountains in Peru and looks a little like radishes or turnips. Maca powder has been consumed for its health benefits for thousands of years and is rich in antioxidants and enhances energy, mood, and memory. It, also, helps to improve sexual health and balance hormones. Maca is high in protein, fiber, vitamin C, and several minerals. The root contains phytonutrients and over 20 amino acids including all eight of the essential amino acids. 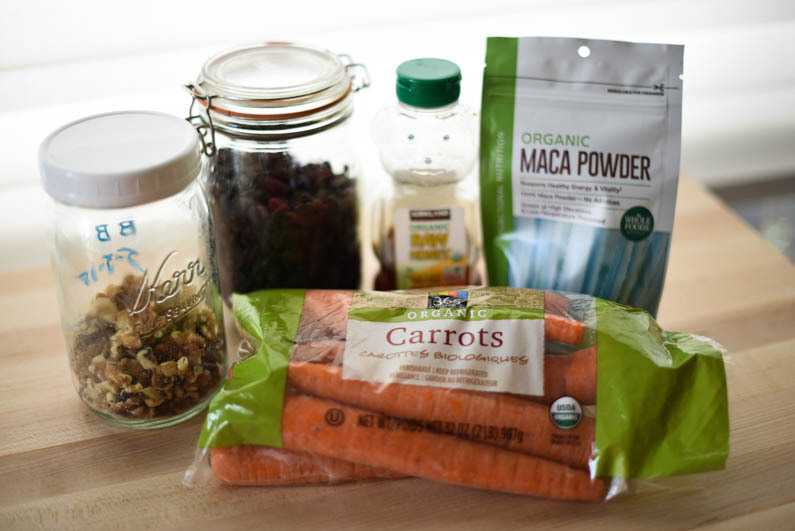 Maca powder has an earthy flavor that’s a bit nutty and is great in smoothies, too. This recipe incorporates honey instead of sugar for its sweetness. Honey has many healthy properties. It helps prevent cancer and heart disease, is an anti-bacterial and anti- fungal, and reduces cough and throat irritation. As an external application, honey can help heal wounds and burns. 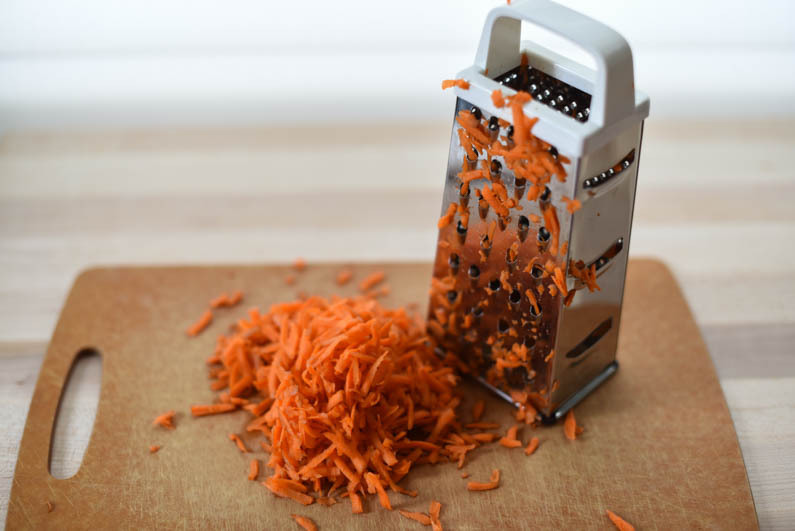 Carrots are rich in beta-carotene which benefits eye health. Carrots, also, help prevent cancer and heart disease and slow down aging. Even though lemons are acidic to the taste, they actually are alkalizing for the body and help balance the body’s PH. 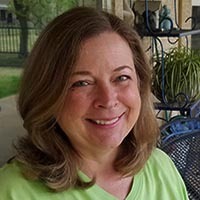 Having a balanced PH has many benefits including more restful sleep, more youthful skin, good digestion, less arthritis, fewer colds, headaches, and flu viruses, and increased energy and mental alertness. 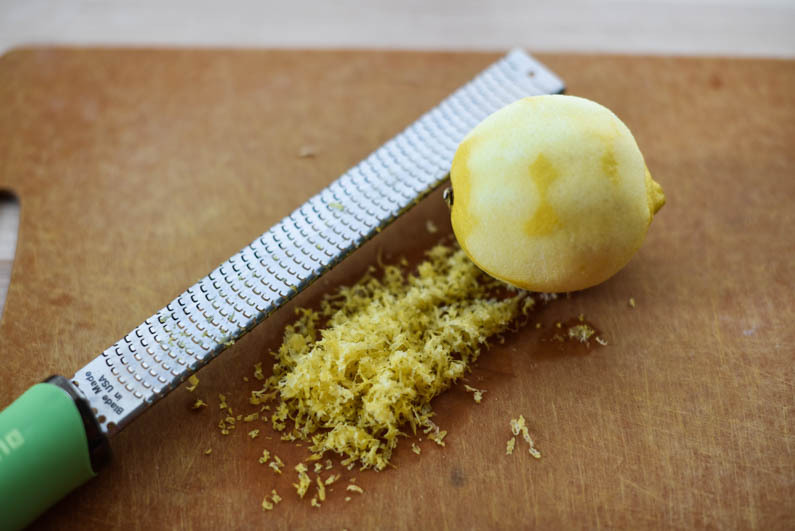 Lemons, also, are rich in vitamin C. I used a medium lemon, and it provided a teaspoon of lemon zest. Spices have many health benefits, too, and these are just a few of them. Cinnamon is an antioxidant that fights diabetes and protect hearts health. Ginger helps ease pain, relieves nausea, and fights cancer. Nutmeg can stimulate your brain and relieve pain and indigestion, and cloves are high in antioxidants. 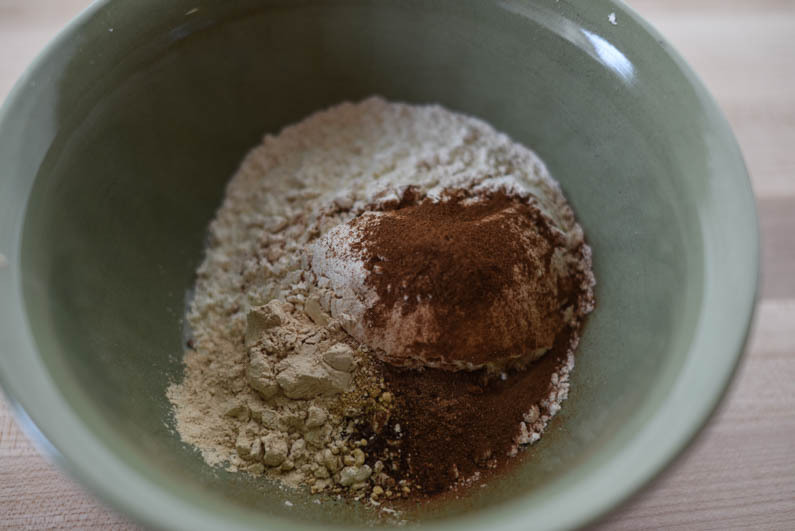 Whisk together all of the dry ingredients – flour, maca powder, spices, baking powder, baking soda, and sea salt. After combining the wet ingredients, add the dry ingredients to them. 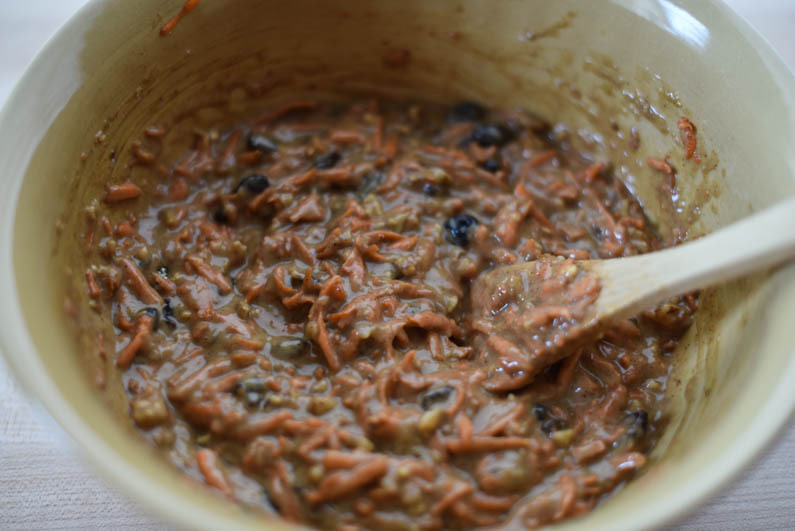 Lastly, add the grated carrots, raisins, and chopped walnuts. Stir the ingredients together until just combined. Don’t over mix. 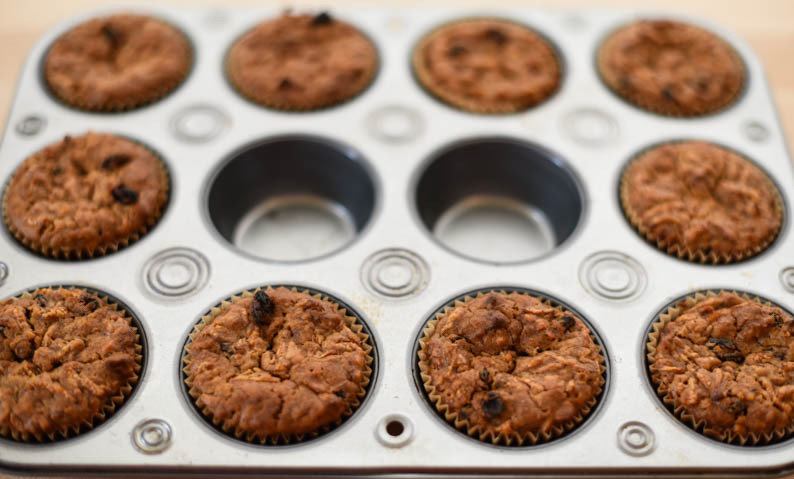 Fill the muffin cups to ¼ inch from the top. Bake the muffins until the tops are golden brown and a toothpick inserted into the center comes out clean. After cooling for 5 minutes, remove the muffins from the pan and continue to cool them on a rack. 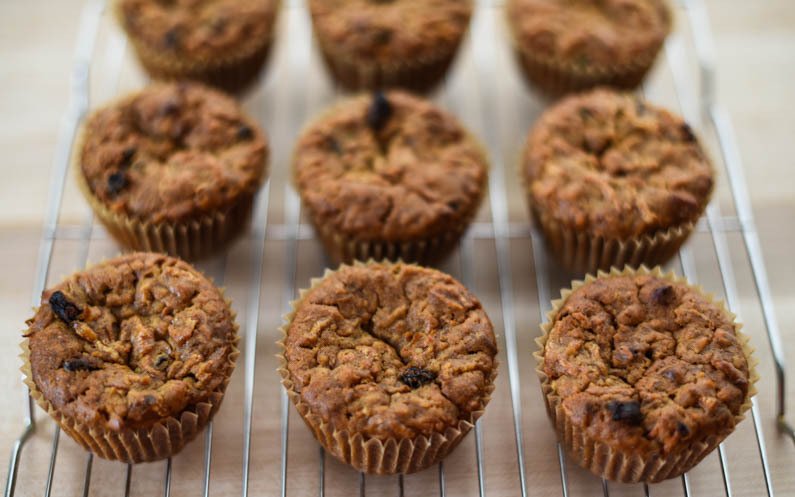 These Carrot Muffins with Raisins, Walnuts, and Maca Powder make a healthy breakfast or snack. Enjoy! 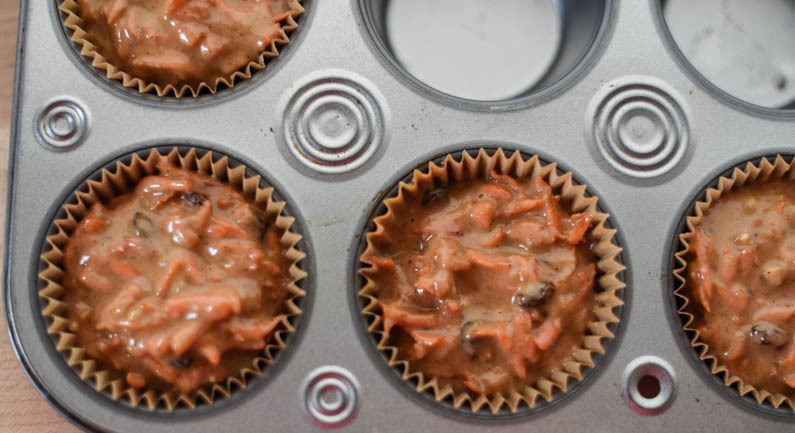 Line 10 cups of a 12 cup muffin pan or grease with cooking spray. In a medium bowl, whisk together dry ingredients (flour, maca powder, spices, baking powder, baking soda, salt) till well blended. Set aside. In a large bowl, mix egg replacer. Add oil and honey to egg replacer mixture. Whisk together till well blended. Add vanilla and lemon zest to wet mixture. Whisk to combine. Add dry ingredients to wet ingredients. Stir till just combined. Don’t over mix. 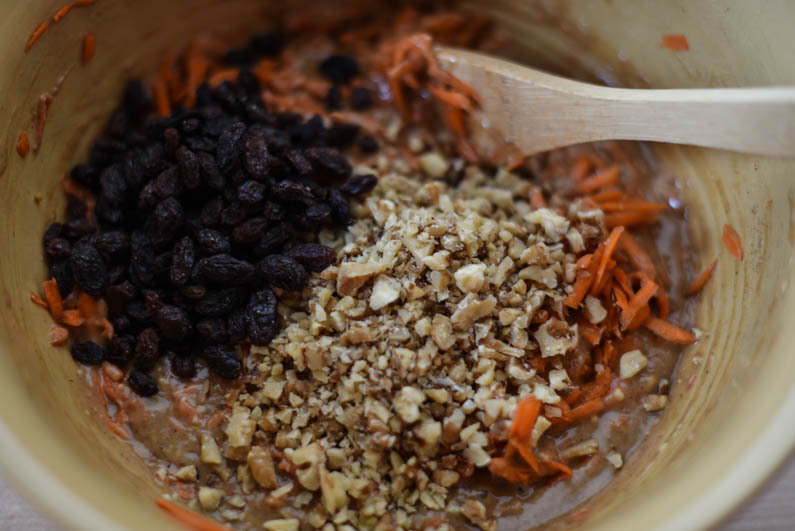 Add carrots, raisins, and walnuts. Stir till just combined. 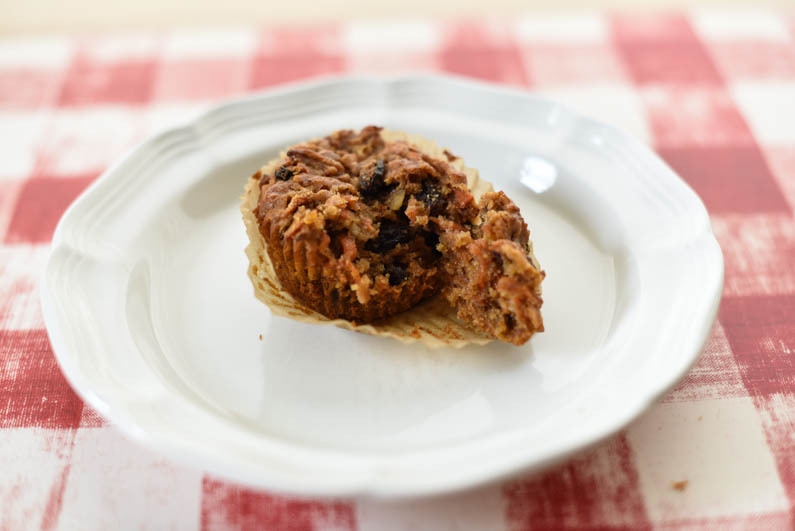 Fill muffin cups to ¼ inch from top. Bake 25 to 30 minutes until tops are golden brown and a toothpick inserted into the center comes out clean. Remove from oven. Cool for 5 minutes. Remove from muffin pan. Cool completely on a wire rack. Nice to read your review of this. I still haven”t ever found einkorn here! I definitely find the suggested serving sizes in this book tend to be a little on the small side, I am a hungry person! I like your idea of organising the recipes by grain.